As MS Awareness Month came to a close at the end of last week, MSAA held its fourth annual Improving Lives Benefit on March 30th in Philadelphia, PA. This event allowed all of us at MSAA to celebrate MSAA champions who embody our mission of Improving Lives Today in the multiple sclerosis community throughout the United States. This year, we were extremely proud to honor Shana Stern (an MSAA Art Showcase Artist), her son, Walker Reynolds (a Swim for MS volunteer), and William Saunders (MSAA Board of Directors’ Treasurer). Attendees got to hear from Walker about his desire to raise money for a cause that would directly benefit and support people like his mother Shana, who was diagnosed with MS in 1999. We also had an opportunity to hear from Shana about her process of expressing her creativity and love of music and performance through her newfound passion of painting with her knuckles. Finally, William Saunders spoke about his time serving as a member of the MSAA Board of Directors and as a representative of the MS community as a true gift. In addition to celebrating the work of our MSAA champions, we were also able to raise more than $120,000, which will make a tremendous difference in the lives of numerous individuals and families with MS. This year’s event would not have been successful without the support of our attendees, supporters, and our sponsors. Thank you to everyone who contributed and we look forward to another beautiful evening next year! The folks here at MSAA are getting ready for this year’s Improving Lives Benefit, where supporters from across the country join us for the night to celebrate the accomplishments of MSAA champions in the MS community. 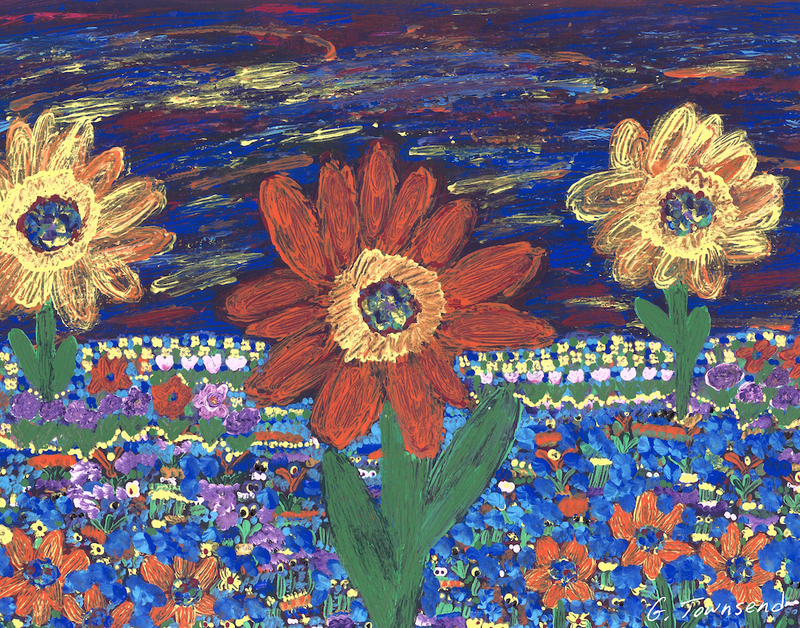 Shana Stern (MSAA Art Showcase Artist) – Diagnosed with MS in 1999, Shana has adapted her style of painting and creating art, as new symptoms and challenges presented themselves. She has been an active participant in our Art Showcase since 2013. Walker Reynolds (Swim for MS Volunteer) – Inspired by his mother Shana Stern’s determination and creative spirit, Walker wanted to give back to the MS community and did so by raising more than $1,800 for MSAA as a Swim for MS Volunteer participant. William Saunders (MSAA Board of Directors’ Treasurer & Founder of Meeteetse Advisors) – Having served as the MSAA Board of Directors’ Treasurer for 8 years, William has been instrumental in helping the organization improve more lives in the MS community by supporting MSAA’s mission. MSAA’s Improving Lives Benefit will be held on Thursday, March 30, 2017 in Philadelphia, PA at The Downtown Club. If you are interested in attending, learn more at support.mymsaa.org/benefit. While not everyone is able to make it to Philadelphia to help us honor these MSAA champions, anyone can participate in our national online auction. Information on auction packages, which include a variety of starting bids, is available here. All-New Artists for MSAA’s 2016-2017 Art Showcase! As part of MS Awareness Month, MSAA is very proud to present our 2016-2017 Art Showcase, celebrating the work of artists affected by MS.
As in the past, we will highlight one Artist of the Month throughout this year and share their artwork and their story. “Before I was a wife, mother, grandmother; before I had MS, I was ME! It took a decade for a diagnosis! What a relief to finally know! Heard about our 2016 Improving Lives Benefit and Online Auction yet? Our Online Auction is Now Open! Event attendance is not required for this special opportunity. Click the Online Auction link below to view the packages and register for bidding. More packages available soon. Please note: online auction will close on Wednesday March 30, 2016 at 9:00 PM EST.